A physician accused of murder. A massive cover-up. 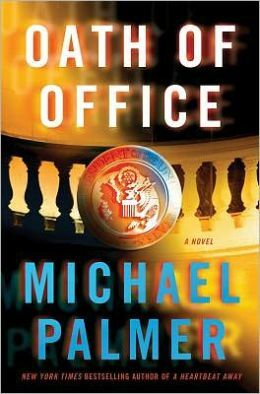 An entire nation at risk…In Political Suicide, New York Times bestselling author Michael Palmer once again delivers a stunning page-turner set at the crossroads of politics, the military, and medical science. Dr. Gary McHugh, known around Washington, D.C. as the “society doc,” calls his longtime friend Dr. Lou Welcome in a state of panic. A patient of his, Chairman of the House Armed Services Committee Elias Colston, has been found shot to death in his home—soon after McHugh paid him a visit. Did McHugh kill Colston? He has no recollection of committing a crime because, later that same night, McHugh wrecked his car in an alcoholic stupor. As more facts come to light, Lou has serious doubts about his friend’s innocence. But something about McHugh’s story still doesn’t add up…and soon a shocking truth is revealed. With the help of Sarah Cooper, an ambitious attorney with her own reasons for mistrusting doctors, Lou enters a dangerous game of cat and mouse and finds himself at the dead center of a conspiracy—one that extends to the highest levels of government, and could destroy the very fabric of national security. My thoughts: Another great book in the Dr. Lou Welcome series. I must say that I enjoyed this book even more than Oath of Office. Truly a great ride of suspense, medical drama, political intrigue. I strongly recommend this book and this series if you enjoy mysteries with suspense, excitement, and great characters. The blame falls on Dr. Lou Welcome. Welcome worked with Meacham years before as a counselor after John’s medical license had been revoked for drug addiction. Lou knew that John was an excellent doctor and deserved to be practicing medicine and fought hard for his license to be restored. After hearing the news of the violent outburst, Lou is in shock like everyone else, but mostly he’s incredulous. And when he begins to look into it further, the terrifying evidence he finds takes him down a path to an unspeakable conspiracy that seems to lead directly to the White House and those in the highest positions of power. My thoughts: If I thought his latest book, Resistant, was good . . . this one was even better! Wow! What a ride! I truly enjoyed this book. There were points where I couldn’t put it down, you know readers those, “oh I know I have to go to bed, but I can’t put it down, just one more chapter . . . I have to see what happens, ok one more chapter” type of books. I literally wanted to find ways to read this one while stopped at stop lights . . . ok, ok I didn’t. Another great book by Michael Palmer, the first in his Dr. Lou Welcome series. A brilliant mix of medical drama, political cover-up, intrigue, fast-paced drama, conspiracy, scientific intrigue . . . what is not to love! They fight without conscience or remorse. Their only job is to kill. They are the most ruthless enemy we have ever faced. When Dr. Lou Welcome fills in last minute for his boss at a national conference in Atlanta he brings along his best friend, Cap Duncan. But an accident turns tragic when Cap injures his leg while running. Surgeons manage to save the leg, but the open wound is the perfect breeding ground for a deadly microbial invader committed to eating Cap alive from the inside out. Meanwhile, hundreds of miles away, a teenaged girl is fighting for her life against the same bacteria. 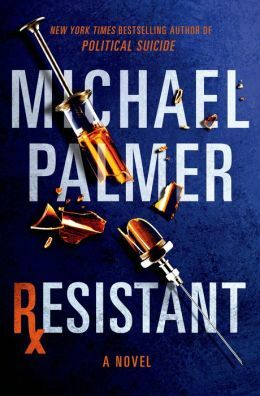 The germ is resistant to any known antibiotic and the government scientist tasked with finding a cure has been kidnapped. Turning to the Centers for Disease Control for help, Lou Welcome uncovers a link to a shadowy group known as One Hundred Neighbors that has infiltrated our society and is using our health institutions as hostages. Like the deadly germs they can unleash, One Hundred Neighbors will stop at nothing to further their agenda. From the hospital corridors where anything you touch can mean your end, to the top corridors of power in this race against time, Lou must stop an epidemic, save his best friend, and face even his own most terrifying demons. From the New York Times bestselling author comes another heart stopping thriller that will make you look at the world around you in a new and frightening way. My thoughts: When I saw there was a new medical thriller on the market, I knew I had to read it. When I saw it was about a germ . . . I knew I had to read it right away. I absolutely love medical thrillers and have realized this is one genre that just isn’t quite as popular as it was in the past . . . great authors like Leonard Goldberg, Robin Cook, and of course Michael Palmer. All in all I thought this was an absolutely great book! In short, a right-wing group called One Hundred Neighbors who thinks that entitlement programs are basically crippling America sets out to control the government and its policies by releasing this bacteria/virus. I was a bit worried that it was going to be too political and that the author was going to use it as a stage for his own political beliefs to come through, but I did not feel this at all. If you read other reviews online that are saying this, the political nature of the book is not prevalent at all. In fact, I felt that this underlying issue took a bit of a back seat and actually wish it would have come out a little more. The storyline was filled with thrilling twists and turns, exciting medical drama, political intrigue, and great characters. It wasn’t until I read this book that I realized there are two previous books featuring Dr. Lou Welcome, namely Oath of Office and Political Suicide. I loved this book so much that I immediately went out to get the rest of the series and will be reviewing that shortly. What I love about these intriguing political, medical thrillers is that they always make you ask yourself, “Could this really happen?” In this case, I believe it is a true possibility . . . booooo! Definitely worth the read if you love fast-paced medical thrillers with a political twist. And since Michael Palmer sadly passed away in 2013, I guess we will have to say a fond farewell to Dr. Lou Welcome!